So here they are. The Elven and Russian almost otaku sets. 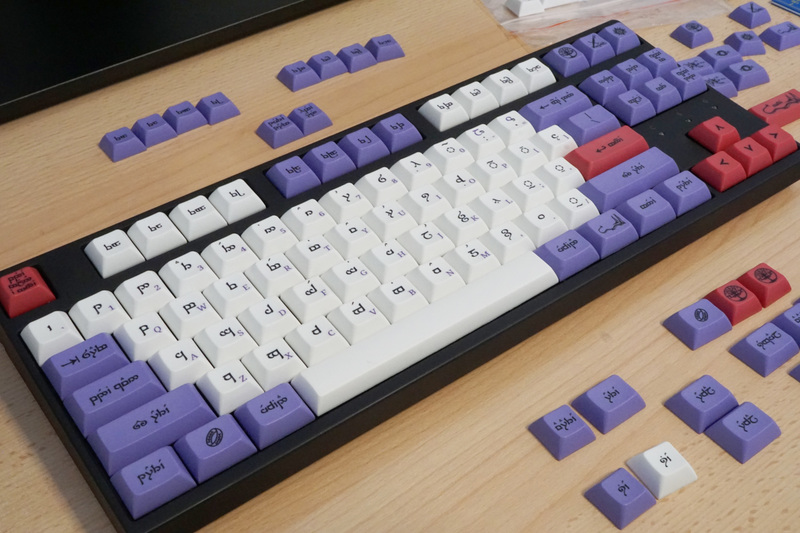 The key profile is similar to Signature Plastic DSA, so no rows, all flat and rather short in height. For this reason we can limit greatly the number of keys and lower substantially the cost. I have no final numbers yet, but I believe the base kit (that basically covers everything) should stay well below $90. Everything is PBT and dye sublimated. Both sets are offered in full otaku-mode or in training wheels dual legends. The following are the suggested kits. If you have any request do not hesitate! Update: Massdrop has posted the drop page. Just 10 days guys! Wow, these look awesome! Too bad I’m not a big fan of flat profiles, but I still predict these will be hugely successful. Similar to DSA? Is this Vortex’ new profile? :) Great looking sets! Looks like XDA to me? Awesome! I’m in for Russian. 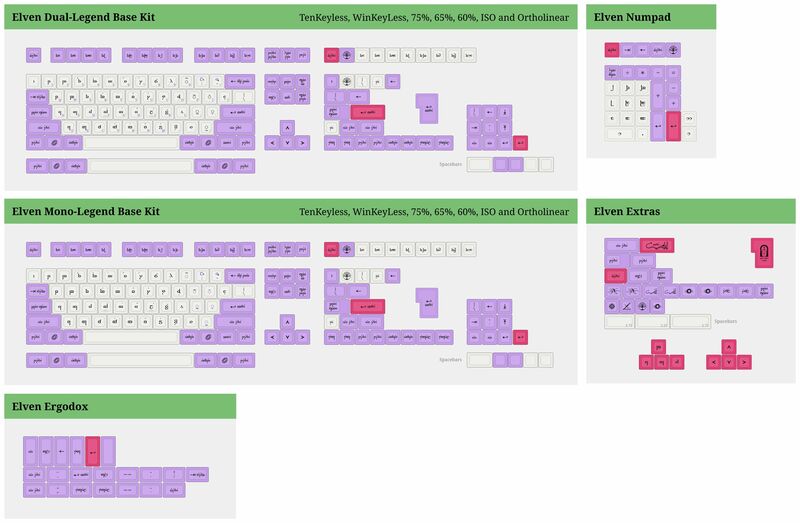 May be even 2 – for ergodox and for normal keyboard. Oh you mad man! I would have killed to have the sublegends on my MT3 elvin! Oh well, I still love the keycaps. I can say without a doubt that MT3 on 67g zealios is the best combination I’ve ever tried. We’re talking years of different profiles and switches. Hundreds upon hundreds of hours. You sir, have made a great thing. Anyway, I hope the sublegends make it to MT3 elvin at some point. I like the purple, but I’m not feeling that red. 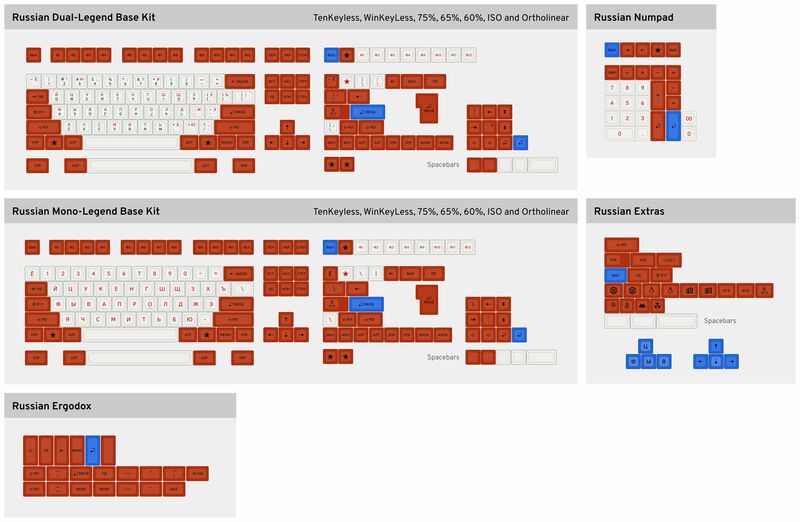 Btw, the Ergodox version of Russian layout has 1,5 keycaps for [, ] and ‘ – those also have Russian characters on them х, ъ and э (see the normal layout). May be it makes sense to add those legends to them. I personally had to stick paper letters to those caps on my Ergodox, because it’s so hard to get used to the fact that those letters are on the uncommon places. I hope for a PBT double shot MT3 Custom profile with a kit full of alpha blanks (I have a different layout, not Colemak nor Dvoak, just my own) and the (few) special keys that only the Ultimate Hacking Keyboard needs. I’ve missed this post earlier. 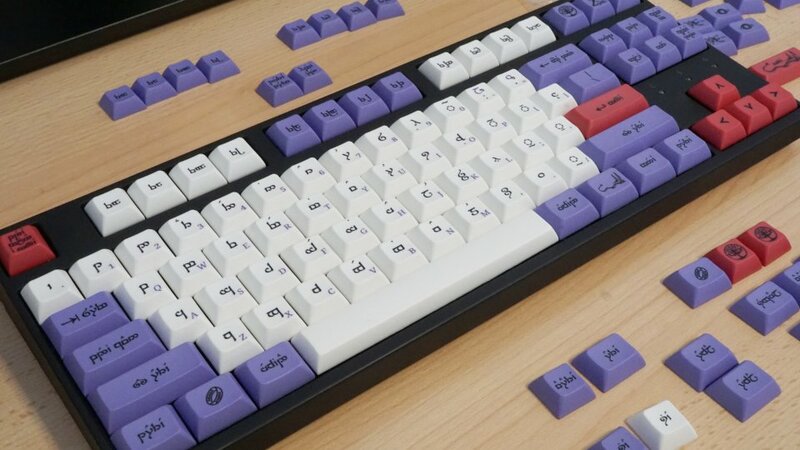 It it possible somehow to order base Russian keycaps set?